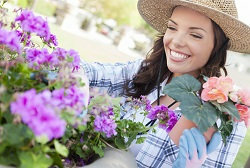 At Gardeners Haringey, we have established ourselves as the most prominent gardening company throughout the N4 district. We've proven ourselves to be the company that can offer the widest range of reliable gardening options, encompassing anything from lawn maintenance to garden landscaping. All of our staff members are experts in their field, sharing their skills, experience and advice with all our clients. Call now to talk to an expert about the options available for your garden and its care. Are you fed up with dying rose bushes and terrible garden ornaments? Broken water features or that broken down shed at the bottom of the garden? In the N4 area, we're helping more and more garden owners realise the true potential of their gardens. We've been working with them to redevelop and redesign their front or back gardens with our landscaping services. We have teams of expert landscape gardeners in Haringey, so we can help you out swiftly and efficiently. Our professional garden maintenance options can also keep everything in your garden in check. Often, some garden owners get so wrapped up in trying to give the best care to their garden that they forget about the environmental impact their efforts might have. We are gardening experts, who ensure that everything we do is environmentally practical and friendly. We ensure that all our services, from garden spraying to lawn care Haringey, use liquids and methods that have very few if any harmful effects on the environment. Our professionals care deeply about their safe practise in garden craft, so you can be certain you're in safe green hands with us! You should no longer worry whether your garden will survive the winter. Don't stress about your lawn burning to a cinder in the summer. Simply hire one of our all encompassing gardening services, and Haringey gardeners can provide year-round garden maintenance to ensure your hedges, grass, flowers and patio stay in top condition, no matter the weather in the N4 region. Our lawn maintenance services are some of our most popular packages, whilst we also offer great deals on garden redesign too. With us, your garden will be in safe hands, ready to face any type of weather. Has your garden turned into a jungle? Have those weeds grown taller than the shed and have the flower beds disappeared into the mist? You might think your garden is beyond repair, but we promise we can help! Our gardening professionals are highly experienced in taking care of overgrown gardens with expert weed control Haringey, waste removal and garden spraying. Throughout the N4 district, we've been clearing gardens and offering a wide range of affordable after care options to maintain your garden's upkeep. Bring your garden back from the brink; let's see what we can do for you today! There's no need to get annoyed and stressed at a garden that simply won't behave. Some gardens are especially tricky to tame, whether they are large, unwieldy or sometimes the local soil in Haringey just isn't quite right for what you need it for. That's why many garden owners in the area hire our experts to come in and provide regular garden maintenance. We can rescue your garden and bring it back to a pristine condition. So don't get annoyed at your garden, get even! Call Gardeners Haringey today for a free quote! The landscape gardeners did a very professional and safe job. I was left thanking my lucky stars that I'd called Haringey Garden Designers. I was really pleased with the work carried out by Landscaping Company Haringey. They're a top team of gardeners. Gardeners Haringey recently completed a large landscaping project. I couldn't be happier with the outcome. Good service. Affordable prices. Willing to help with anything including lawn mowing, planting, and tree maintenance. Lawn Care Services Haringey will always be my chosen service as long as they keep it up. I use their professional hedge trimming services. Haringey Garden Designers has been taking care of my bushes for like 'FOREVER'...Great prices, great service, nice workers. Company name: Gardeners Haringey . 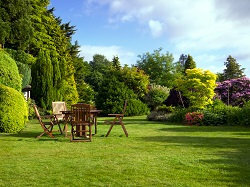 Description: See your outdoor space in perfect condition by using our proven garden maintenance company in Haringey, N4. Call and get our offers only valid today! © Copyright 2014 - 2015 Gardeners Haringey Ltd. All Rights Reserved.